Denton, Texas - Hail can cause horrible damage in a matter of minutes! (Not So) Fun Fact: Hail Storms are the most expensive storm damage in the state of Texas. That’s right. Not tornadoes. But hail! 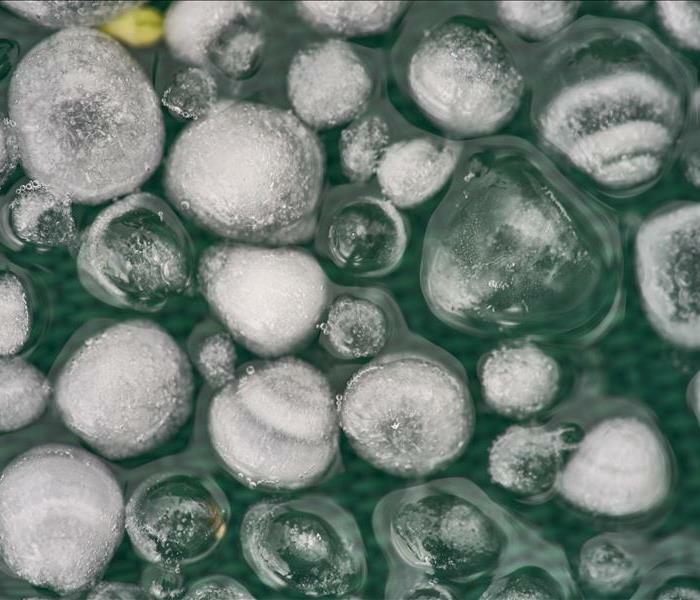 Hail can affect the infrastructure of your home and damage not only your roof, but windows, and be open for water damage. Check to see if you are covered with roof insurance. Roofing insurance are particular within warranty, but also useful in times where hail can be detrimental. If not, make sure you work with a reputable roofer to assess and fix holes or damages in your roof. SERVPRO of Denton offers tarping and board ups to help prevent further damages until roofers can properly fix your roof. Then the restoration begins! From water damages, clean up, and reconstruction, SERVPRO of Denton can cover all your needs to return your property back to preloss condition. Not just residential hail damages either! We also handle commercial losses, in compliance with IICRC using optimal techniques in the restoration business. 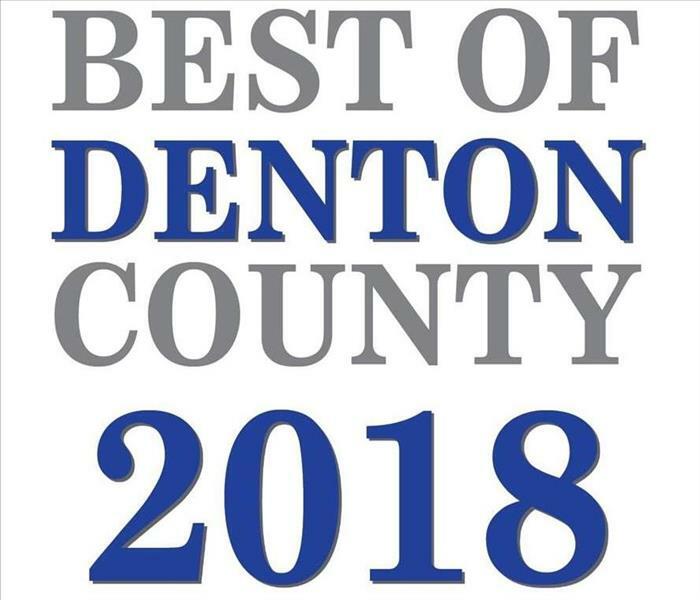 Denton, Texas - Trust in our vetted mold specialists to assure a clean and healthy environment for you and your family.
" Is That A Black Spot?" It can be alarming to find out there is potential growth in your home. Most times, you didn’t know it was growing and secretly causing havoc on your infrastructure. From leaking pipes or humid bathrooms, mold takes precise conditions to grow. Mold loves the spring time. 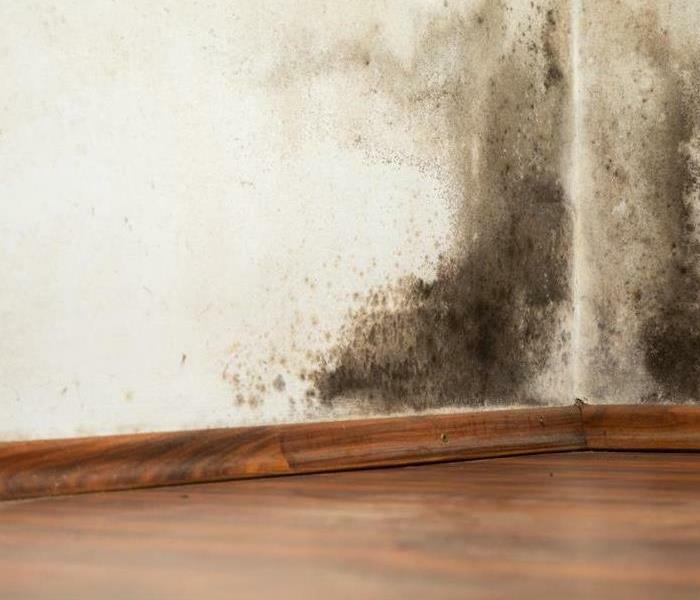 Wet conditions and warm weather mean a perfect environment for mold to grow in basements, bathrooms, under homes, in cabinets, in attics, and in garages. If you have experienced water damage that wasn’t properly treated by IICRC standards, you could be at risk for mold exposure. Well, don’t fret! SERVPRO of Denton is qualified and ready to service your mold growth. 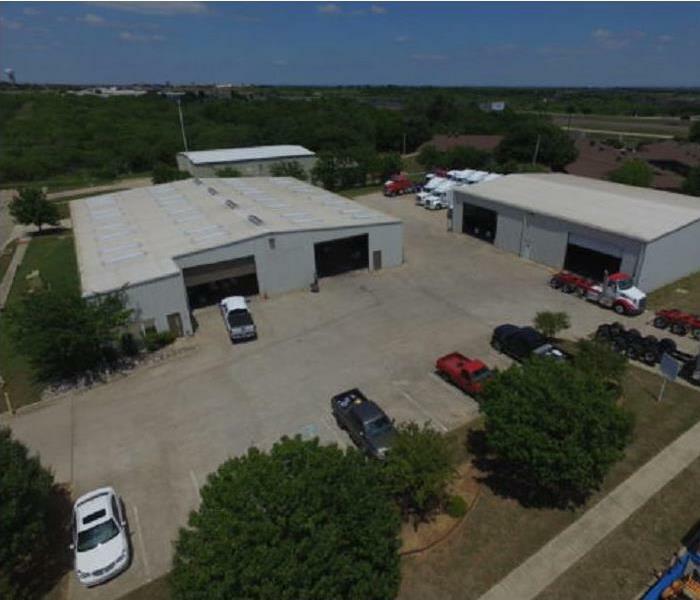 From a wide array of services such as mold mitigation and remediation, reconstruction, and clean up, SERVPRO of Denton is a one stop shop for all your mold removal needs. What could you expect from SERVPRO of Denton professionals during mold removal? Advisory solutions to test mold by an environmental hygienist. A standard protocol on how to remediate the specific mold in your home. A certified mold specialist with come out with a team and begin proper remediation. We handle the mold removal whether that is mitigation, remediation, reconstruction, and sanitation and clean up. 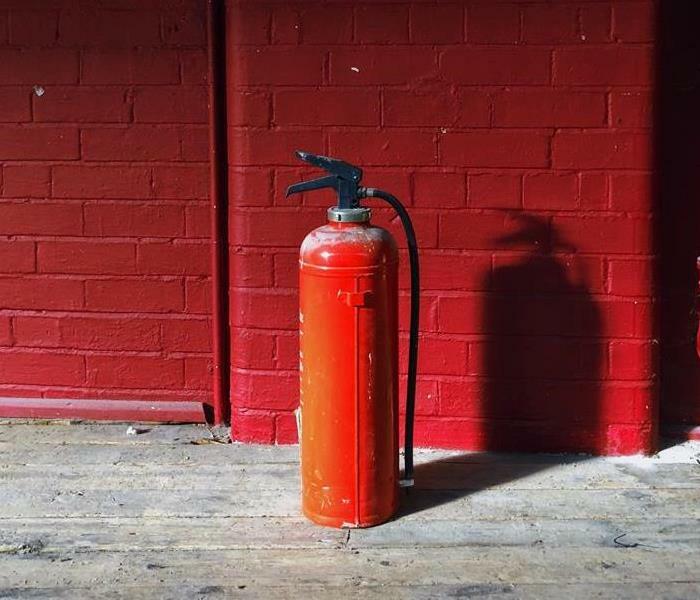 Restoration after a fire is scary, but follow this to help you in times of stress! Experiencing a house fire can be one of the most devastating things a family can go through. Nobody wants to think about what can happen or what to do, but this guide will help you know what to do after a house fire. Finding a place to stay – Calling family or friends can help in a pinch, but what will you do if you have nobody to stay with. Reach out to the local American Red Cross or Salvation Army, they may have resources to help you and your family. File with your insurance agent – The sooner, the better. Call the Police – You don’t want unsavory characters getting into your home. Calling the cops to check on the property, or boarding up the windows can help protect your home while you make arrangements. Call SERVPRO of Denton – 24/7 emergency service restoration to start immediate clean up on your property. Preparing is essential when storms strike! Don't Let Tornadoes Catch You Off Guard! As the weather begins to change, also expect changes in storms. We are done with winter weather blues, but time to tackle the Texas tornadoes. So, how do you prepare against the destructive storms? Simple: it means have a plan. Preparing your family for emergencies and natural disasters is critical in times of extreme urgency. Go to a windowless room, or a basement/storm cellar. Be sure to use a radio for NOAA Weather Radio updates. Know where your First Aid and Storm Kits are for quick access. Discuss with your family where your meeting place should be if you were to be separated. Make sure your children know numbers for important contacts in case of emergencies. 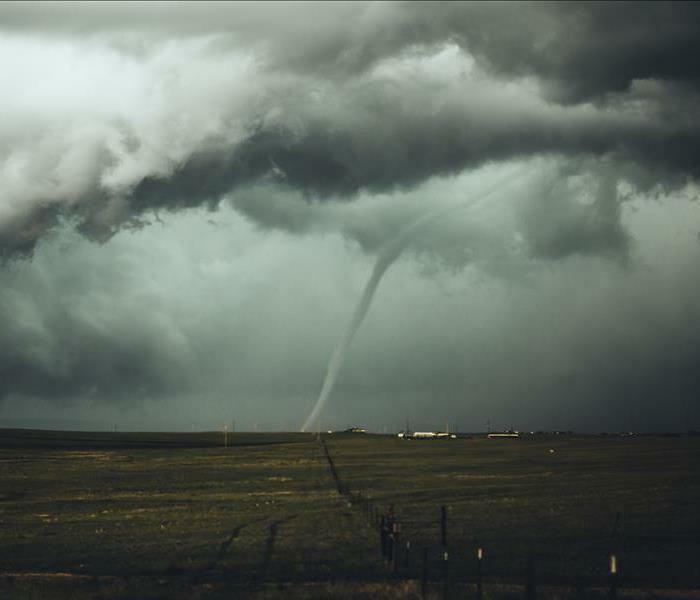 Stay tuned to for our follow up blog, What To Do After A Tornado! How Does SERVPRO Help You with Your Water Damage? Water flooding can cause damages that last for years after if not properly treated and restored! How Do We Ensure Top Quality in Our Services? First, we are here for you 24/7! Whether you need us at 2 AM or during the holidays, we have our team out on your property and starting work. Second, we keep you updated on the entire process from start to finish. Communication is our priority and we work with insurance along the way! Lastly, we can finish off the restoration with reconstruction, and be your one stop shop for all your home or business needs. Do you have questions about how we take care of water in your home? Call our office and ask how we can help you! Lightening and rain could be heading your way soon! 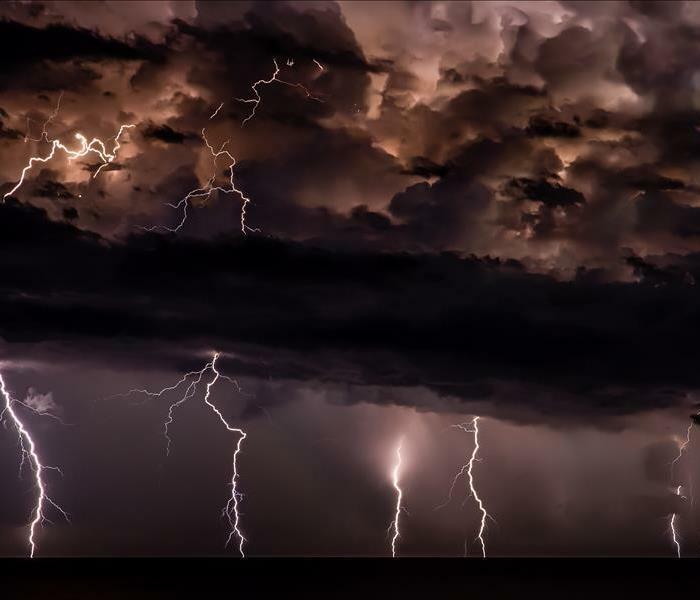 Spring is finally here and with warmer weather, that also means more storms. Warm and cool air forms clouds, and could potentially form thunderstorms. Are you prepared for Texas storms? Check out way’s storms can affect your home in Denton, Texas. Thunderstorms can… cause fires. Lightening can strike and cause fires in your home. Thunderstorms can… cause flooding. Flash floods come without warning and destroy your property. Thunderstorms can… have high winds. High winds can carry debris and make massive messes. The aftermath can be chaotic and stressful, but restoration and reconstruction can be a breeze when you trust SERVPRO of Denton. The leading professionals in the restoration industry at SERVPRO of Denton are equipped to handle all areas of storm clean-up. From fire to water to debris to reconstruction, we do it all from start to finish. Get ahead this year with spring cleaning! Weather is getting warmer and spring will be here before you know it. Spring cleaning is essential in as weather warms because there are higher amounts of pollen in the air, contributing to your allergies. Check out our tips to reduce the allergens that find their way into your home! 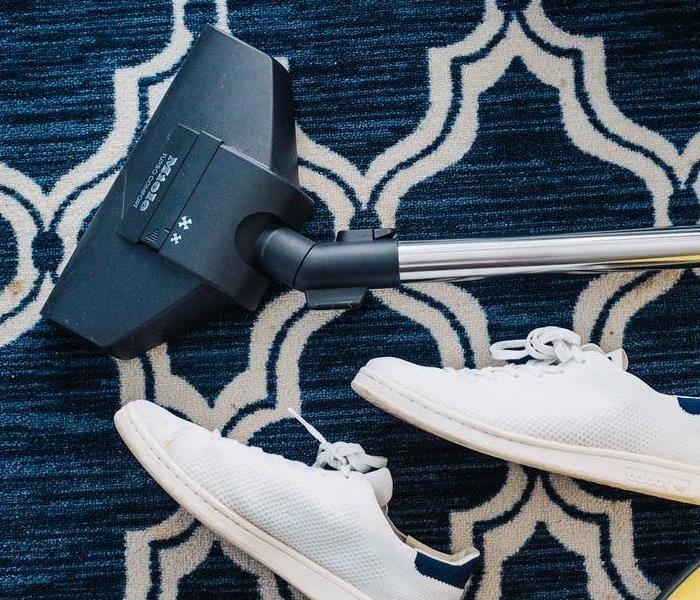 Vacuum frequently, and make sure to use a HEPA filter to trap and lock away allergens. Throw out unnecessary clutter, so dust cannot hide. Try wearing a mask while you clean, so you don’t breathe in the germs you want to get rid of! Check water pipes for leaks and the potential for mold. Don’t wash with fragrance detergents, as they may trigger your allergies. Use your AC instead of opening your windows, to keep allergens out. For Your Home's Deep Cleaning, Call SERVPRO of Denton! 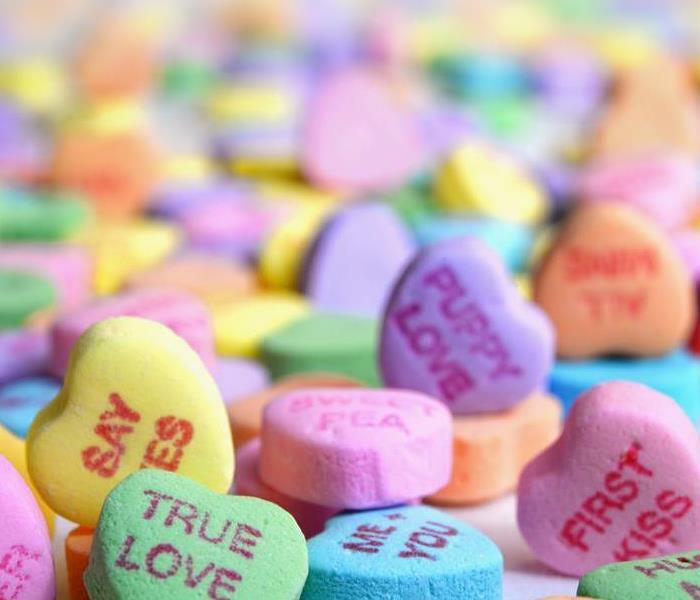 We love Valentine's candy as much as we love SERVPRO! Valentines is here, and everyone is buzzing with excitement! I went around to our team members and asked them what they love about SERVPRO! What do you love about SERVPRO? Let us know in the reviews! 4/2/2019 - What To Do AFTER A Fire! 3/15/2019 - How Does SERVPRO Help You with Your Water Damage? 2/4/2019 - We Are On The Move!